if yes chosen above, leave a message to be printed. message will not be printed unless yes is chosen above. Our cute, hand embellished valentines day card is the perfect valentines card for your wife. 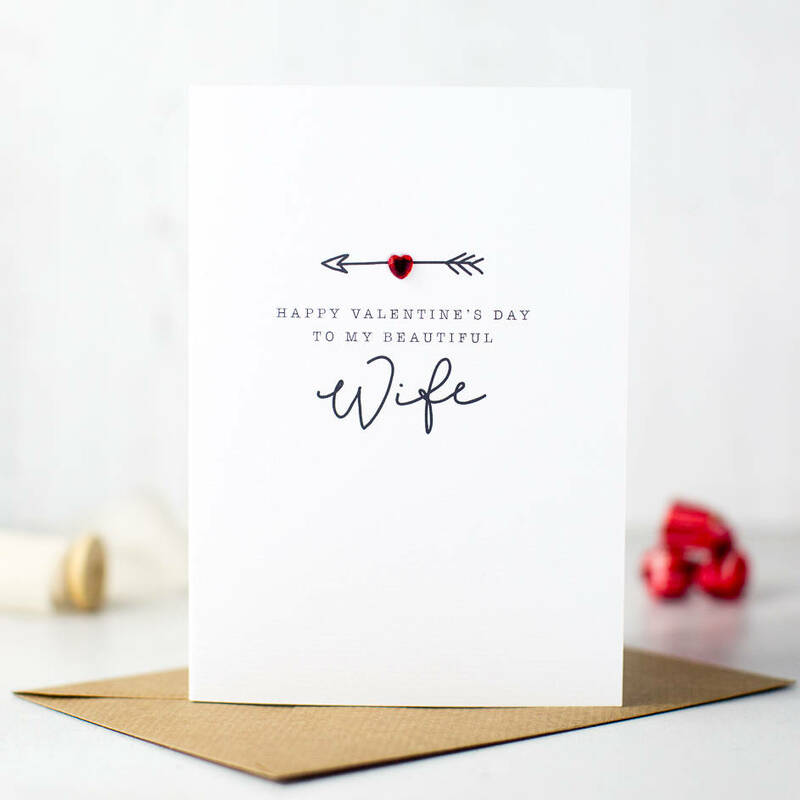 This funny card is the perfect way to say Happy Valentines day! Perfect if youre not the smushy type. Supplied with complimenting envelope and presented in a clear cellophane bag. Design copyright Emma Moore all rights reserved. This product has been reduced from £4.00. As the product has not previously been available, the original price reflects the RRP. Embellished with a Red heart.